If you are considering being your own entrepreneur, starting your own ice cream truck business can be a good way to start. Here are a few things you will need to consider before starting your own ice cream truck business. You need to decide where to sell your ice cream – You will need to get a permit to sell at each town. It is best to start off with one permit (one town) and then as your business grows, you could consider buying more permits. To get a permit you will need to register your business with your town. Then obtain a peddler’s and town peddlers license. You will also require a health inspection and a vehicle inspection from your town’s police. You need a truck – You will need to rent or buy a truck new or used. Your vehicle will need to be insured and registered with the DMV. 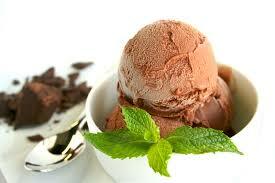 You will need a freezer – You will need ice cream shop supplies, especially a good quality freezer. Choose a cold plate freezer that is a suitable size for your truck. Truck decals – Consider the type of stickers and decals that will suit your products and theme. Make sure your theme connects with your target market. Products – Your truck should serve not only ice cream, but candy and drinks. You will also need gelato cups and spoons, hand sanitizer, towels and cleaning supplies. Location – Decide on the locations you would like to visit first. Look at parks, busy shopping centres and schools. In the market for a supplier of gelato cups? Gelato Products will have what you want.